Classroom debates can be an effective way of getting students to think about the pros and cons of different viewpoints (“Was Hitler a planner or a gambler in foreign affairs?”, “Henry VIII: Hero or Villain?”). 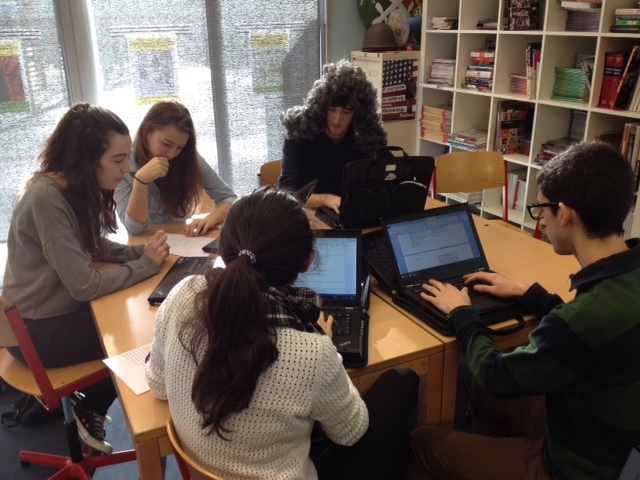 The standard way I do this is to divide the class into two teams (the ‘prosecution’ and the ‘defence’). Each member of each team gathers evidence for one side of the argument, then converts this into a question for their opponents (“Is it not true that…which is illustrated by the fact that…”). The best questions are then allocated to members of the opposing team at the end of the lesson, with homework time being set aside for them to formulate their rebuttals (based usually on the fact that the evidence behind the question is either incomplete and / or unreliable). The debate then takes place in a subsequent lesson, with the teacher acting as a chairperson and everybody busy taking notes as the debate unfolds. Thee sorts of debates outline above are rigorous, engaging and thorough. But they have their problems. Firstly, they can be slow to conduct (notes need to be taken by all students as the debate proceeds, which takes time). The solution: Arbitration, not Debate! With these problems in mind, I sometimes adopt a slightly different approach which is both quicker, and more sophisticated in terms of the conclusions produced. 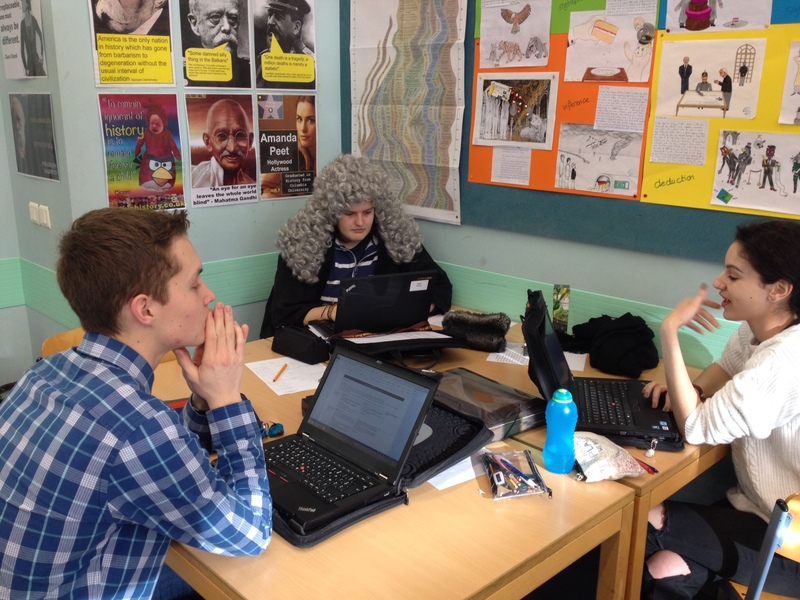 In the first lesson (the research and preparation phase), I created three equally sized teams rather than just two: the prosecution and defence were now joined by a team of ‘arbitrators’. The central question is broken down into several issues for consideration (“Did Hitler’s speeches suggest he was a planner rather than a gambler?”, “Do his actions demonstrate purpose rather than drift?”, “Have historians since agreed that he was a planner rather than a gambler?” and so on). Each of these issues is allocated to a team of three people, consisting of one member of the defence, one member of the prosecution, and one adjudicator. Whilst the members of the defence and prosecution teams are busy gathering their evidence and formulating their questions for their allocated issue, the arbitrators are responsible for anticipating the arguments and counter-arguments on each side, and working towards a synthesis position which they hope both sides will be happy to accept (for this reason, it’s best if the adjudicators are the more able members of the class). Step 2: Intimate Abitration, not Open Debate! In the second lesson (the debate phase), the format of the discussion is made much more efficient by getting each team of three (prosecution, defence and adjudicator) to conduct their debates simultaneously and on separate tables. Each adjudicator listens to the questions asked by each side to the other, and to the answers provided, and makes notes. Then, with the ‘debate’ element over, the adjudicator works with the pair of them to design a synthesis statement which both sides are happy to accept (e.g. “Although Hitler’s speeches create an impression of drift and inconsistency, these were deliberately designed to throw up a diplomatic smokescreen around his naked ambition to ensure that the appeasers continued giving in to his demands”). In this way, with all of the issues being debated all at once and with the objective being a reasoned judgement rather than the mere ‘victory’ of one argument over another, the process is not only made much more efficient, but much more intellectually sophisticated. In the closing phase of the process, which usually takes place in a third and final lesson after the adjudicators have polished their judgements, all of the adjudicators sit around one central table and start talking through their findings one by one, with the teacher acting as a chairperson. The rest of the class are not allowed to speak, but should make detailed notes from what each adjudicator says about what the thesis made by the prosecution, the antithesis made by the defence, and the synthesis reached thereafter. Each of these discussions should take no more than a few minutes. If any member of the rest of the class wishes to contribute, they are only permitted to do so by passing a note to the adjudicator who was in their original team of three. This approach could be used as an alternative or a follow-up to a Balloon Debate [more]. Instead of the objective being to find an overall ‘winner’ in a balloon debate (for example, on ‘Who was the greatest figure of the Industrial Revolution?’), teams of three people could sit around a table and find try a statement which acknowledges how all deserve to be regarded as ‘winners’ but in different ways (“In the short term…but in the longer term…and for women especially…”).